After the 22nd congress of the Communist Party of the Soviet Union N. Khrushchev’s group is furiously continuing the campaign of attacks on the Party of Labour of Albania and the People’s Republic of Albania. Significant is the fact that this campaign is becoming ever tougher and more offensive at a time when the soviet press is not only publishing with noise Kennedy’s profoundly reactionary and belligerent interview, but surprisingly there is also room to say good words about it, at a time when N. Khrushchev’s group and their followers are undertaking one step after another to approach as much as possible the Belgrade traitorous revisionist clique. What strikes your eyes, it is that the authors of this campaign fear the facts like the fire, therefore they avoid them and replace them with general bombastic phrases, often in contrast with one another, with base vituperations and offenses which N. Khrushchev and his like have never used against the furious imperialists and colonialists. You are struck also by the fact that N. Khrushchev and his supporters are seeking to avoid by all means a discussion in essence of the principled ideological differences underlying the disagreement between our Party and N. Khrushchev’s group. They are shifting the problem to another field and they degrade themselves up to the basest and most vulgar slanders against our Party and our country. Or if they sometimes feel themselves obliged to touch on the questions of our ideological divergences, they distort the position of our Party, they slander it, they attribute alien viewpoints to it and then, the very authors of these fabrications begin «with an irreconcilable principality» to fight them and reject them. Why all this noise about the alleged Albanian «dogmatism»? Why is N. Khrushchev’s group with such an irresistible zeal seeking to distort the position of the Party of Labour of Albania and discredit it before the world public opinion? It is clear to every reasonable person that the main thing in this is not the question of unmasking the alleged Albanian «dogmatism» nor to warn against the «great danger» allegedly posed by it to the international communist movement. In fact, the deafening noise against the Party of Labour of Albania is needed by N. Khrushchev and his group for something else. It is needed to them, among other things, firstly, to attack some fundamental theses of the revolutionary doctrine of Marxism-Leninism defended by the Party of Labour of Albania and the real Marxist-Leninists in all the countries and, secondly, to draw the attention of the world public opinion towards the Albanian «dogmatism» so that, using this as a smokescreen, they may more easily and more quickly spread their own revisionist viewpoints in the international communist and workers movement. The authors of the anti-Marxist articles and speeches against our Party, with a view to concealing their departure from the positions of Marxism-Leninism, say that the leadership of the Party of Labour of Albania has allegedly radically changed its political course on the main questions of the present-day international development and its stand towards the Soviet Union and the other socialist countries, or, as somebody has expressed himself, it has allegedly made a political «mortal somersault». It is really surprising that the political line of our Party «has allegedly radically changed» while those who say this call us «dogmatists», that is people who do not depart from the former viewpoints. Moreover, the same people but recently had welcomed and called as Marxist-Leninist this line of our Party which is now being described as «dogmatic» and despite this it has allegedly «radically changed». No, the policy of the Party of Labour of Albania and the Government of the People’s Republic of Albania is just what it has been. Our stand has not changed at all, either towards imperialism and revisionism, or towards the Soviet Union and the other socialist countries, or towards the national-liberation movement, or towards the cause of peace, peaceful coexistence, etc. Conversely, there has changed only the stand of N. Khrushchev and of those following him, towards our Party and our country, towards the fundamental teachings of Marxism-Leninism. They have revised the fundamental teachings of Marxism-Leninism about the reactionary and aggressive nature of imperialism and on this basis they treat in an opportunist manner the issues of peace and peaceful coexistence, of the national-liberation struggle of the enslaved peoples, the question of the forms of transition from capitalism to socialism etc. ; they seriously encroached on the principles of proletarian internationalism in the relations, between the fraternal communist and workers’ parties and between the socialist countries. 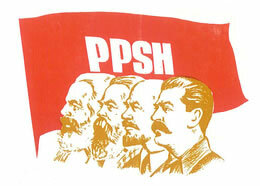 The Communist Movement and the 20th Congress of C.P.S.U. N. Khrushchev presented his opportunist viewpoints about these questions at the 20th and the 22nd congresses of the Communist Party of the Soviet Union, some theses of which make up the ideo-political platform of his entire anti-Marxist activity. Therefore, he is seeking to force these theses upon all the fraternal parties, to make them obligatory norms of all the international communist movement. Presenting the decisions of the 20th and 22nd congresses as the quintessence of Marxism-Leninism and the stand towards them as the basic criterion to judge whether this or that party holds or not on the positions of Marxism-Leninism, N. Khrushchev declares as «anti-Marxist», «nationalist», «dogmatic» etc. any party or person opposing his opportunist theses expressed in the decisions of these congresses. This is the way he acted, for instance, towards the Party of Labour of Albania which, as is known, has not agreed and does not agree with some opportunist theses and some anti-Marxist attitudes which were manifested at the 20th and 22nd congresses. But why should the Marxist-Leninist communist and workers’ parties in all the countries be obliged to see the truth of Marxism-Leninism through N. Khrushchev’s revisionist prescriptions? Fortunately, there exist the fundamental principles of Marxism-Leninism, clearly argued in the works of the classics and confirmed by life and the experience of the entire international communist movement. These principles cannot be replaced either by the decisions of the 20th and 22nd congresses or by N. Khrushchev’s reports and speeches. They, and not the 20th or the 22nd congress of the Communist Party of the Soviet Union, are the reliable criterion to judge about this or that fraternal party whether it holds or not on the revolutionary positions of Marxism-Leninism. While N. Khrushchev is seeking to replace the works of the classics of Marxism-Leninism, as well as the Marxist principles that have been formulated in the two 1957 and 1960 Declarations of the communist and workers’ parties with his revisionist platform, the revolutionary Marxism-Leninism — with opportunism and revisionism. This becomes clear even from the «Pravda» article of December 14th 1961 hear lined «On dangerous road» saying among other things that «while dealing with the line of the 20th congress of the Communist Party of the Soviet Union it is not merely a question of the decisions of one party, but of a new era of the international communist movement*-. Thus N. Khrushchev is seeking to make the decisions of one party obligatory to all the fraternal parties, while the international meetings of the communist and workers’ parties and their joint documents — vain and formal. Such an attitude is in open contrast with the known thesis of the 1960 Declaration that the fraternal communist and workers’ parties are «independent and equal, they work out their policies proceeding from the specific conditions of their own countries, guiding themselves by the principles of Marxism-Leninism». Seeking to justify their position, the authors of the «Pravda» article refer to the formulation contained in the 1960 Declaration about the international importance of the 20th Congress. But it is known how this thesis was introduced in the Declaration. The soviet leaders, in opposition to the spirit of the Declaration on the independence and equality of the fraternal parties, are using this thesis to impose upon them the decisions of the 20th Congress, although at the November 1960 Moscow meeting they solemnly declared that they would never interpret and use it for such aims. Now, the alms of N. Khrushchev and his kind are coming to the fore with every passing day. After all this, it is clearly seen how much hypocrite and formal has been N. Khrushchev’s proposal, which is proudly mentioned also by the authors of the article published in «Pravda», that there should not be included in the 1960 Declaration the thesis «the socialist camp headed by the Soviet Union». The Party of Labour of Albania, as shown also by the protocols of the November 1960 Moscow meeting, has been and continues to be of the opinion that the thesis «headed by the Soviet Union» is a just and useful thesis. When we say that the socialist camp is headed by the Soviet Union, we do not mean at all that the Soviet Union and the Communist Party of the Soviet Union are the «supreme instance» which leads and directs, while the other socialist countries and the other communist and workers’ parties «the low instances» obeying and submitting to the former. By no means. By such a thesis we mean that the Soviet Union, as the first country which opened and is opening the road towards socialism and communism, and the Communist Party of the Soviet Union, as the great Party of Lenin and Stalin, as the most experienced party in the international communist movement, by their historical experience illumine to the other socialist countries and the other communist and workers’ parties the general Marxist-Leninist road for the victory of the socialist revolution and the construction of the socialist and communist society (this glorious experience by no means begins with the 20th Congress, but it is the reflection of the more than 50-year struggle and efforts of the Communist Party of the Soviet Union). Moreover, the opportunist theses submitted to the 20th and 22nd congresses by N. Khrushchev are in contrast with the entire road and historical experience of the Communist Party of the Soviet Union as well as with the present-day facts of the international life. For these reasons, the experience of the Soviet Union and its Communist Party is of world historic importance, including here also a considerable number of theses of the 20th, 21st and 22nd congresses and of the new programme of the Communist Party of the Soviet Union. In reality, by proposing to remove the thesis «headed by the Soviet Union», N. Khrushchev made an impermissible concession to (the revisionist elements and encouraged them in their efforts for the split of the international communist movement, for the spreading of their anti-Marxist viewpoints, to alienate the communist and workers’ parties from the historic experience of the Soviet Union and its Communist Party. Thus, in some communist parties, as for instance in the Italian one, they are greatly propagandizing «polycentrism» which in reality means to renounce the international solidarity principle of the communist and workers’ parties and the general laws of the socialist revolution and the socialist construction, discovered by Marxism-Leninism and confirmed in practice, first of all, by the historic experience of the Communist Party of the Soviet Union; it means a sliding into the positions of revisionism (preaching of the so-called «national, specific ways» to socialism, etc). There has been created a really curious picture: when we were defending the thesis «headed by the Soviet Union», N. Khrushchev and some others attacked us and severely opposed this thesis; whereas at present the same people are attacking our Party alleging that it is pursuing an «anti-Soviet» line, that it is «splitting the communist movement and it has departed from Marxism-Leninism», exclusively because it does not agree with some theses of the 20th and 22nd congresses of the Communist Party of the Soviet Union! Alongside with the efforts to impose on the other parties the decisions of the 20th Congress, N. Khrushchev has organized a whole campaign to force upon them also the new programme of the Communist Party of the Soviet Union. Without denying at all the historic importance of this document as a programme of the construction of the communist society in the Soviet Union, it always remains the programme of a single party, therefore it cannot be forced upon the other parties nor can it replace the joint documents of the communist movement — the 1957 and 1960 Declarations. Our Party does not agree with some opportunist theses contained in the new programme of the Communist Party of the Soviet Union, especially as regards the issues of the present-day world development, which are in contrast with the two Declarations of the communist and workers’ parties. But our Party greatly appraises those parts of the programme in which the valuable historic experience of the Soviet Union in the socialist revolution and in the up-building of socialism and communism has been correctly presented. This experience, as previously, will be studied with a great attention by our Party and will be utilized by it in the struggle for the construction of the socialist and communist society in our homeland. Such is the unchanged line of our Party. And in vain will they attempt to accuse us of making any turning point. Entirely absurd and groundless is the charge which is being reiterated all along by N. Khrushchev and his supporters that the Party of Labour of Albania did not fully publish the draft-programme of the Communist Party of the Soviet Union. An article published against our Party in «The Communist», issue Nr. 17, 1961 points out that even some bourgeois newspapers were obliged to publish the full text of the programme. We are not concerned with what the bourgeois newspapers have done. If they have published the programme, they apparently have had their own reasons to do it. As to our Party, it is known that it published in its press, in a summarized form, the draft programme of the Communist Party of the Soviet Union and when it was approved, after the relative modifications, at the 22nd Congress of the Communist Party of the Soviet Union and became its programme, it fully published it into a special pamphlet together with the new rules of the Communist Party of the Soviet Union, so that all the working men and women of our country could buy and read them. The slanderous charges that the Party of Labour of Albania is allegedly afraid of the Albanian people to publish these documents and that it distorts the viewpoints and positions of the Communist Party of the Soviet Union and is slandering it, have dropped by themselves. It is a matter of common knowledge that our press completely published also the charges raised at the 22nd Congress of the Communist Party of the Soviet Union against the Party of Labour of Albania. Why then do N. Khrushchev and his group not publish, they too, in the soviet press the materials of our Party when they say that they do not fear the truth? The authors of the articles in «Pravda», «The Communist» and in the other organs writing against our Party and our country, shamelessly distort the positions of our Party for a series of issues of principle of the present-day world development, so that, fighting against the alleged «anti-Marxist», «dogmatic» theses of the Party of Labour of Albania (which they themselves have distorted in this way) they may justify and spread N. Khrushchev's opportunist theses. The whole matter is that his revisionist pill should become more acceptable, being covered with the gloss of the fight against the «Albanian anti-Marxism». Let us take the issue of peaceful coexistence, which is dealt with at length in the articles of «Pravda» and «The Communist». The Party of Labour of Albania, true to the teachings of Marxism-Leninism and the Moscow Declarations of the communist and workers parties, in the foreign policy questions has held and always resolutely holds on the Leninist thesis that in the conditions of the division of the world in two systems, the only correct and reasonable policy in the relations between states with different social systems is the policy of peaceful coexistence, according to the known principles of complete equality, respect of territorial integrity, the state independence and sovereignty, non-interference in the internal affairs of one another and cooperation on the basis of mutual advantage. In the world, however, there does not exist only the problem of the relations between states with different social and political systems. There exists also the problem of the relations between the socialist states, as there exists the problem of the struggle of the peoples against imperialism and colonialism and of the struggle of the working people for the defeat of the capitalist slavery Consequently, the foreign policy of the socialist countries, besides the peaceful coexistence between the countries with different social systems, which is one of its fundamental fronts, includes two more aspects: the relations between the socialist countries which are based on the principles of friendship cooperation and the fraternal aid and support, on the principles of socialist internationalism; and the support of the national-liberation struggle for national independence, which is being waged by the peoples enslaved by imperialism, and the revolutionary struggle of the working class in the capitalist countries for the overthrow of the capital and the passage of power into the hands of the people. Such is the clear Marxist-Leninist position, defined also in the Moscow Declarations, to which the Party of Labour of Albania also adheres in the foreign policy matters. However, the above mentioned article in «Pravda» alleges that the Party of Labour of Albania is opposed to the Leninist principle of peaceful coexistence as it is against N. Khrushchev’s anti-Marxist thesis, according to which the peaceful coexistence between states with different social and political systems is the general line of the foreign policy of the socialist countries. This is indeed a surprising and a without logic conclusion placing its very authors in an awkward position. It is known that N. Khrushchev himself has publically declared more than once that the principles of peaceful coexistence are insufficient for the relations between the socialist countries, that the essence of the relations between them is constituted by the principles of cooperation, the fraternal mutual aid and support in the spirit of socialist internationalism. This is clearly emphasized also in the 1957 Declaration of the communist and workers’ parties. Well, how does this comply with the thesis that peaceful coexistence is the general line of the foreign policy of the socialist countries? Or do N. Khrushchev and his supporters perhaps mean that for the sake of peaceful coexistence with these or other capitalist states, we should side with them against the fraternal socialist countries? N. Khrushchev’s article writers refer to V. I. Lenin to find arguments in favour of their wrong thesis. But it is known that V. I. Lenin had never confined the foreign policy of the Soviet State only to the questions of the struggle for peaceful coexistence, although the Soviet Union was at that time the only socialist country, surrounded on all the sides by the merciless waves of the capitalist world. The authors of the «Pravda» article have apparently forgotten that the great Lenin had more than once emphatically stressed that the Soviet socialist State, alongside with the efforts for peaceful coexistence with the capitalist countries, should by all means and powerfully support the liberation struggle of the peoples enslaved by imperialism and the revolutionary struggle of the working people against the capitalist order. This is the lofty internationalist task of every socialist country. Or do they perhaps think that, for the sake of peaceful coexistence with these or other capitalist states, the socialist countries must renounce such a support? The absurdity of the position of the authors of the attacks on the Party of Labour of Albania becomes still more evident when they, falsifying in an entirely clumsy way an editorial of the newspaper «Zeri i Popullit», accuse our Party of allegedly standing for relations of peaceful coexistence with the Soviet Union (!) Which one should we trust — the charge that the Party of Labour of Albania is opposed to the Leninist principle of peaceful coexistence, or the charge that the PLA stands for relations of peaceful coexistence, even with the Soviet Union? It is indeed ridiculous to think that the Party of Labour of Albania, the party of a small socialist country, surrounded on all sides by capitalist states, is allegedly opposed to peace and peaceful coexistence. But recently, N. Khrushchev and those following him today in his attacks on the Party of Labour of Albania, welcomed and fully supported the foreign policy of our Party and Government, which, as everybody knows, has not changed at all also with regard to our relations with the neighbouring countries. Whereas now, according to the authors of the «Pravda» article, it follows that the responsibility for the aggravated situation of the Greek-Albanian relations rests with our Party and Government which are allegedly opposed to peaceful coexistence with Greece. This is a mean falsification of the position of our Party and a support for the reactionary circles of Greece which, as is known, is a member of the aggressive NATO bloc. The Party of Labour of Albania has never declared that it is opposed to peaceful coexistence with Greece, but it has emphasized and emphasizes now that the normalisation of the relations between Greece and the People’s Republic of Albania is being obstructed by the absurd claims of the Greek government that it is in a state of war with Albania, as well as by its territorial claims to Albania’s southern regions, such an attitude being in open contrast with the known principles of peaceful coexistence. Or should we perhaps, for the sake of «peaceful coexistence», make concessions to the Greek chauvinists in their territorial claims to South Albania, as N. Khrushchev did in his talk with Venizelos? The Party of Labour of Albania and the Government of the People’s Republic of Albania, faithfully pursuing the principles of peaceful coexistence, have been and are, at present too, prepared for the establishment of diplomatic relations with Greece, if the Greek Government renounces its groundless claims which are hampering the good neighbourly relations between our two countries. We wish to establish diplomatic relations and maintain good commercial, cultural and other ties with all the capitalist countries that like such a thing, especially with our neighbours, on the basis of strict respect of the known principles of peaceful coexistence. N. Khrushchev’s group, pursuing their anti-Marxist aims of the political and economic isolation of the People’s Republic of Albania, are seeking in vain to accuse our Party and Government of allegedly being opposed to peaceful coexistence; they are seeking in vain to stain our Party and slander it alleging that «it is drawing nearer to imperialism», while the Government of the People’s Republic of Albania is seeking to translate into reality the principles of peaceful coexistence in its relations with the neighbours. Or let us take the disarmament issue. The struggle to ensure the relations of peaceful coexistence and for disarmament to force them upon the imperialists, is one of the great problems of our days. The Party of Labour of Albania and the Government of the People’s Republic of Albania have supported and are resolutely supporting the efforts of the Soviet Union in this respect, including also the known proposal of the Soviet Government for general and complete disarmament. The position of our Party and Government in this question is quite clear and leaves no room for any doubt at all. However, N. Khrushchev and his group are making a great noise accusing the Party of Labour of Albania of allegedly being opposed to a general and complete disarmament. This is nothing else but a smoke bomb to conceal the wrong pacifist bourgeois viewpoints of N. Khrushchev himself about a general and complete disarmament. What are in reality the dangerous viewpoints which N. Khrushchev is seeking to force upon the international communist and workers’ movement relating to a general and complete disarmament? In the first place, that a general and complete disarmament is the only real way for the security of peace, that it is the basic and most urgent task of the times, to which must be subordinated all the other tasks and problems of the international communist movement and the present-day world development. According to N. Khrushchev and his followers, all the fundamental issues which are exercising today the minds of the peoples, such as the national liberation, etc., would be settled only as a result of the general and complete disarmament, of the creation of a world free of weapons, armies and wars: the enslaved peoples will be automatically freed from imperialism because the imperialists will have no more weapons to keep them under their yoke, whereas the working people in every capitalist country will be able to seize power in a peaceful way because the bourgeoisie will not have arms to defend its rule. Hence, the inevitable conclusion that the national-liberation struggle of the enslaved peoples, the struggle against the different forms of colonialism and neo-colonialism, as well as the revolutionary struggle of the working people for the overthrow of the capitalist slavery are second rate problems which do not deserve any special attention, which are entirely dependent on the achievement of a general and complete disarmament. And this logical conclusion has been and is being confirmed with every passing day by the traitorous practical actions of N. Khrushchev and his group. But to the Marxist-Leninists it is clear that, as pointed out in the 1960 Moscow Declaration, the general and complete disarmament is a difficult problem, that its realisation takes a long period because of the fierce opposition it encounters on the part of the imperialist powers headed by the United States of America. Therefore, it is quite wrong and very much dangerous to bridle the struggle of the enslaved peoples and the working people in the capitalist countries, to doom them to live in countless sufferings and miseries awaiting the achievement of a general and complete disarmament. The colonial peoples do not want to wait until a general and complete disarmament is realised; they want to free themselves as soon as possible and the safe road for their liberation is a determined struggle against imperialism. The people who have just won their freedom and who are exposed every day to the danger of the imperialist aggression car ensure the gained freedom and independence not by appealing to disarm themselves at a time when the imperialists are ready at any moment to devour them, but by sharpening their vigilance and increasing their defensive might. The working people ii the capitalist countries want to throw off as soon as possible the heavy yoke of capital; for this the; do not need to wait until a general and complete disarmament is achieved because the road of their liberation is that of the carrying out of the socialist revolution and the establishment of proletarian revolution through peaceful r non-peaceful means. The historic experience has proved that the peoples that have so far liberated themselves from the colonial yoke and the working people who have overthrown thus far the capitalist order and have embarked on the road of socialism, have achieved this even without a general and complete disarmament, owing to their resolute struggle. In the second place, N. Khrushchev is seeking to achieve a general and complete disarmament only by making general appeals for disarmament and has intentionally thrown into oblivion the indispensability of the struggle of the unmasking of the war-mongering activity of imperialism, especially of the United States imperialism, which not only obstructs disarmament by all the means and ways, but it is also intensifying with every day the frenzied armaments race. But experience has shown that the fine words of Kennedy and the other leaders of imperialism «about peace» and «about the desire for talks» are quite false and demagogic, therefore it is entirely inadmissible and dangerous to deceive oneself and the others, to lull the vigilance of the peoples for «the good aims and desires» of the imperialists, as N. Khrushchev and his group are doing. The disarmament, either general and complete, or local and partial, can be achieved only if the socialist countries and all the peoples, all the fighters for peace, will wage a determined struggle to force it upon the imperialist forces of aggression and war, and. first and foremost, on the United States imperialists. It is clear that it is not the peoples that profit by N. Khrushchev’s pacifist and bourgeois conceptions, but imperialism and colonialism. This finds expression also in the fact that while Khrushchev and his group do not say a single word against the United States imperialism, but they are seeking to carefully «preserve» it, they do not spare even the most vulgar slanders of most reactionary style to accuse our Party of allegedly being opposed to peace, peaceful coexistence and a general and complete disarmament. What is the purpose of the spreading of such a slander against a socialist country? Do they perhaps mean to say by this that the danger of war comes from the side of some socialist countries, and specifically from Albania? (!) If such is the case, we must remark that these allegations are by no means original, for such a thesis, aimed to come to the assistance of the American imperialism, is being propagandized for some time by the reactionary bourgeois press and by the revisionist renegade Kardel. It is also slanderous and of evil purpose the accusation that the Party of Labour of Albania is now allegedly opposed to the proposal for the transformation of the Balkans and the Adriatic area into a zone of peace, free of atomic weapons and rockets, a proposal jointly submitted by the Governments of the Soviet Union and the People’s Republic of Albania in 1959. The position of our Party and Government on this question has not changed at all. But our Party and people do not and cannot agree with some other proposals which have been put forward in 1960 for the creation of a zone free of atomic weapons and rockets and for the complete disarmament up to the level of border units in the Balkans alone. Do these people perhaps not know that the United States 6th Fleet, armed to teeth, is cruising for some time in the Mediterranean? That it is by no means roaming there for touristic purposes, but it is a dangerous arm of aggression against the socialist countries? Have they perhaps forgotten that the Italian imperialism, which is now arming itself with American weapons and rockets and which is a member of the NATO aggressive bloc, has several times in succession, within a few decades, undertaken aggressions against our homeland and the other Balkan countries? We have to refresh the memory of some people about the fact that it was precisely N. Khrushchev, and nobody else, that during his visit to Albania in the spring of 1959, before the whole world seriously drew the attention of the Italian Government several times in succession, to the dangerous actions it was undertaking by making the Italian territory available for the establishment of the American rocket bases, which are directed in the first place against the socialist countries of the Balkans. We, on our part, have by no means changed our opinion. But N. Khrushchev has now perhaps changed opinion and has renounced the 1959 proposal. If such is the case, let them openly say it. We only want to emphasize that this is a short-sighted policy towards the aggressive plans and actions of the United States imperialism and the other imperialists. The author of the article published in the review «Communist»-, issue Nr. 17, 1961, F. Konstantinov complains that the Party of Labour of Albania has allegedly distorted the theses of the 20th Congress by charging the leadership of the Communist Party of the Soviet Union of standing only for the peaceful way of transition to socialism. We must point out that F. Konstantinov has simplified and vulgarized the problems to the utmost (he has done this perhaps for «economy of thoughts!). Our Party has expressed its critical opinion about the way in which the problem of the roads of transition to socialism was raised at the 20th Congress of the Communist Party of the Soviet Union. In the first place, as well at the 20th Congress as in the entire propaganda of the soviet leadership after the congress, the emphasis has been laid mainly on the peaceful way, there have been exceedingly swollen the possibilities of such a way at the present time, which does not correspond at all to reality. F. Konstantinov quotes the resolution of the 20th Congress (we reproduce here the relative part) which reads in part: «There is no doubt that for a number of capitalist countries, where capitalism is still powerful, where it has in its hands a huge military and police apparatus, the great intensification of the class struggle is inevitable» (the underscoring is ours). We ask the question: In the present conditions of the frenzied armaments race, of the feverish efforts for the establishment of the fascist dictatorship, of the unheard of swelling of the military and police apparatuses, in such conditions in what capitalist countries are being created ever more favourable conditions for the seizure of power in a peaceful way? Is it perhaps in the United States of America, in France, Spain, West Germany, Greece? In the second place, at the 20th Congress N. Khrushchev orientated in fact the communist and workers’ parties in the capitalist countries to prepare themselves either for the peaceful way or for the non-peaceful way, but he did not orientate them that they should be prepared equally, at the same time, for both possibilities, so that they should be prepared at any moment to exploit all the possibilities to seize power in a peaceful or non-peaceful way. Our Party is of the opinion that if you prepare yourself well for the armed uprising, favourable possibilities are created also for the seizure of power in peaceful way. Now, in order to argue the thesis that allegedly on this question the 20th Congress (the year 1956) stood on the correct positions, F. Konstantinov quotes the materials of the 22nd Congress (the year 1961), containing Lenin’s words that the working class should «master without exception all the forms or aspects of the social activity...», it must be prepared «for the quickest and most sudden replacement of one form by the other». Such an interpretation gladdens us and we consider it as a forward stride. But why was it necessary to wait for more than five years to recall these teachings of great Lenin and why do they attack the Party of Labour of Albania which has remained and remains loyal to these teachings? In the third place, N. Khrushchev in. an opportunist manner identified at the 20th Congress the seizure of power in the peaceful way by the working class with the gain of the majority of seats in the bourgeois parliament, thoroughly brushing aside the fundamental teachings of Marxism-Leninism about the indispensability of the destruction of the bourgeois state machinery and its replacement with the state of proletarian dictatorship (Let them read at least V. I. Lenin’s classical work «State and Revolution»). F. Konstantinov further writes that the Party of Labour of Albania allegedly views the socialist revolution not as a result of the internal development of the capitalist countries, but as something imposed from outside. In other words, he accuses our Party of allegedly adhering to the anti-Marxist viewpoint of the exportation of revolution and rushes to destroy this wrong theory. We want to tell him that, perhaps due to philosophic distraction, he has mistaken address and is in vain breaking open an open door. In no material in our Party and in no article in our press, either F. Konstantinov or anybody else can find, be it one single word, that may raise the slightest doubt about the clear position of our Party in this question (indeed, F. Konstantinov confines himself to a general phrase and mentions nothing concrete). The Party of Labour of Albania has condemned and firmly condemns both the anti-Marxist theory of the exportation of revolution and the attempts of the imperialists and their revisionist tools for the exportation of the counter-revolution; it has always considered and considers the socialist revolutions as a result of the internal contradictions of the capitalist countries, of the struggle of the working class in these countries. At the same time, consistently guiding itself by Lenin’s teachings, the Party of Labour of Albania forcefully points out the indispensability of the resolute support by the socialist countries for the revolutionary struggle of the working class and of all the working people in the capitalist countries for the overthrow of the capitalist slavery and the triumph of socialism. But is it perhaps precisely these teachings of Lenin that F. Konstantinov calls «export of revolution»?! On the contrary, the position of N. Khrushchev and his group in this question is unclear and contradictory. Considering peaceful coexistence as the general line of the foreign policy of the socialist countries, N. Khrushchev and his propagandists, on the one hand cross out the support for revolution on the part of the socialist countries and, on the other hand, over-estimate the role of the external factor, they have almost made an absolute of its importance and have presented the case in such a way as if the victory of socialism on a world-scale will come as a result of almost only the policy of peaceful coexistence which is pursued by the socialist countries, of the economic competition between the socialist system and the capitalist one, of the successes which are being achieved by the countries of the socialist camp in the up-building of socialism and communism. It is known that our Party has always emphasized and continues to emphasize the great internationalist support and aid which the Soviet Union has given to the Albanian people, it has considered and considers it as the very important external factor for the liberation of our homeland from the fascist slavery and for the construction of socialism in Albania. But the soviet leaders headed by N Khrushchev in their materials about Albania, recently, do not mention, even by a single word, the part played by the Albanian people, under ~ha leadership of the Party of Labour of Albania, in the struggle for the liberation of the country and the victory of the people’s revolution in Albania, as well as in the up-building of socialism in our country, unilaterally pointing out only the external factor — only the assistance of the Soviet Union. How could we term such an attitude? Does it not lead to the positions of the anti-Marxist theory of the export of revolution? Let «theoretician» F. Konstantinov explain it to us. In order to escape from the awkward position in which they have landed because of their policy of reconciliation and cooperation with the Tito clique, N. Khrushchev and his supporters shamelessly distort the attitude of our Party relating to the evaluation of the 1956 counter-revolutionary events in Hungary. The Party of Labour of Albania has clearly expressed its stand concerning the 1956 counter-revolution in Hungary. It has pointed out and continues to point out that it was organized by the imperialists, especially the United States imperialists, in close cooperation with the internal reactionary forces and the revisionist Tito clique and the Hungarian revisionist and traitorous elements of the type of Imre Nagy and his like, within the framework of the frontal attack launched by the imperialists and revisionists on the socialist camp and the international communist movement after the 20th Congress of the Communist Party of the Soviet Union. For their own purposes they took advantage also of some mistakes of the former Hungarian leaders. This is quite clear and understandable; therefore it is needless to dwell at length. Firstly, the counter-revolution in Hungary was prepared and carried out by the imperialists and the other counter-revolutionary elements under the slogans of «anti-Stalinism», borrowed from N. Khrushchev’s «secret» report to the 20th Congress of the Communist Party of the Soviet Union. Indeed, the unprincipled attacks on Stalin at the 20th Congress, his «destalinization» line, provided food to the reactionary and revisionist elements and facilitated the conditions for them to conduct their hostile activities. They exceedingly swelled the alleged «Stalinist» mistakes of the former Hungarian leaders, which provided the possibility to the traitorous and revisionist elements, such as Imre Nagy and his kind, to freely carry out and mask their counter-revolutionary activity presenting it as a «popular revolution*-. Secondly, at the time when the Tito group and Imre Nagy, together with the imperialists, were feverishly preparing the counter-revolutionary coup in Hungary, N. Khrushchev, A. Mikoyan, M. Suslov and other soviet leaders had closed their eyes before the hostile activity of these traitors, they were trusting them and supporting them. By no means can be justified the fact that the soviet leaders had believed in a «hypocrite self-criticism» of Imre Nagy and held it in their drawers to convince the others that Imre Nagy was a good man (!). Likewise, it is entirely unjustifiable that N. Khrushchev should so much trust the Yugoslav revisionist renegade clique, that he went from time to time to Brioni for secret talks with Tito and, together with him, he even decided on who should be appointed first secretary of the Central Committee of the Hungarian Workers’ Party (!) (This, in addition, was also an impermissible interference with the internal affairs of a fraternal party). Such a surprising activity, to say the least, of the first secretary of the Central Committee of the Communist Party of the Soviet Union is testified to by many documents available to our Party, such as the letter which N. Khrushchev sent on November 9th, 1956 to J. B. Tito, and which was quoted in the speech delivered by comrade Enver Hoxha on November 7th, 1961. In order not to leave room for doubts, we are quoting from this letter in which N. Khrushchev addresses himself to Tito in the following terms: «You were fully satisfied with the fact that the Central Committee of the Communist Party of the Soviet Union, as early as in the summer of this year, concerning Rakoshi’s departure, was seeking to have comrade Kadar become first secretary of the Central Committee of the Hungarian Workers’ Party». This needs no comments. Thirdly, even after the counter-revolutionary coup in Hungary had failed owing to the blood of thousands of heroic soviet soldiers and of the Hungarian patriotic communists which was shed in streams in the streets of Budapest, N. Khrushchev instead of unmasking, in addition to the imperialists, also the traitorous Tito clique which was one of the main organizers of the Hungarian counter-revolution, «considered it possible» to cover its activity. Thus, in the above-mentioned letter of November 9th 1956, N. Khrushchev wrote to Tito: «We consider it possible to agree with your viewpoints not to attach now any special importance to the question whether the Yugoslav embassy in Budapest acted correctly or not by providing asylum to Imre Nagy and his like». Now, N. Khrushchev and his group are circumventing these facts, they pass them in silence and, in order to distract the attention from them, they are distorting the position of our Party, alleging that it defends the imperialist reaction, that it is seeking to belittle its responsibility for the counter-revolutionary coup in Hungary and that it is presenting it as a mere consequence of the criticism against Stalin at the 20th Congress of the Communist Party of the Soviet Union. We do not intend to polemicize with a certain J. Andropov who precisely at the time of the 1956 counter-revolutionary events was Soviet ambassador to Hungary. But we want to point out that by such clumsy and vulgar charges it is difficult to convince people. It is not the Party of Labour of Albania, but N. Khrushchev and his group that, by exceedingly swelling the role of the «Stalinist» mistakes of the former Hungarian leaders presenting them as the main cause of the counter-revolutionary events in Hungary, in reality underestimate the part of the imperialists in these events and entirely conceal the hostile activity and the responsibility of the agents of imperialism — the revisionist Tito clique. And if N. Khrushchev’s anti-Stalinist campaign and his opportunist attitudes towards the Tito clique and Imre Nagy and his like facilitated the job to the imperialists, the revisionists and the reactionary forces for the organisation of the counterrevolutionary uprising in Hungary, the responsibility for this by no means rests with the Party of Labour of Albania and its leadership. N. Khrushchev and his supporters furiously assail the Party of Labour of Albania and its leadership and accuse it of allegedly being opposed to the teachings of Marxism-Leninism about the indispensability of not allowing any manifestation of the personality cult. To make these fabrications more credible, they continue to make a great noise about the «ugliest manifestations of the personality cult», which us allegedly thriving in Albania. The Party of Labour of Albania and Its leadership have been and remain true to the teachings of Marxism-Leninism about the masses, the classes, the party and the leaders, they have never been and are not opposed to the fight for the eradication of any manifestation of the personality cult and they have not hesitated in due time to criticize the manifestations of this kind among its ranks. But our Party has not agreed and does not agree with the way this criticism has been and it is being effected against the person of J. Stalin by N. Khrushchev’s group beginning with the 20th Congress of the Communist Party of the Soviet Union; it has not agreed and it does not agree with the anti-Marxist aims for which he is using criticism against Stalin, to impose his revisionist viewpoints on the communist and workers’ parties of the other countries. N. Khrushchev’s unprincipled attacks on J. V. Stalin and the presentation of the entire period of the latter’s leadership as a period in which allegedly murders, terror, persecutions and injustice reigned in the Soviet Union, are inacceptable to our Party and to all the Marxist-Leninists. Such a wholly unprincipled «criticism» has immeasurably gladdened the imperialist enemies and the revisionists and has provided food to them to heap mud on the soviet socialist system, on communism. At the same time, this «criticism» has placed the communist and workers’ parties of the capitalist countries in difficult positions in the face of the rabid attacks of the bourgeois reactionary propaganda which, in order to spread its slanders, refers exactly to what N. Khrushchev has said against J. V. Stalin at the 20th and 22nd congresses of the Communist Party of the 'Soviet Union. N. Khrushchev and his propagandists are now seeking in vain, through a foggy logic, to accuse our Party of allegedly having connected the personality cult with the soviet system. It is a matter of common knowledge that the Party of Labour of Albania, alongside with the other Marxist-Leninist parties, has waged and continues to wage a resolute and principled struggle against the bourgeois propaganda and the modem revisionists who are seeking to discredit the soviet order and communism. This poisonous weapon has not been given to the imperialists and revisionists by our Party, but by N. Khrushchev and his group; they should also bear the responsibility before the Communist Party of the Soviet Union and the soviet people for these hideous actions. Our Party resolutely rejects also the attempts of N. Khrushchev’s group to dethrone Stalin, to deny his great merits as a distinguished theoretician of Marxism-Leninism, who has resolutely defended Leninism from the attacks and distortions of the Trotzkyists, Bukharinists and other enemies, and has developed it further in the new historical conditions. Presenting J. V. Stalin as a «dogmatist», detached from life, N. Khrushchev and his supporters are seeking to mask their revisionist viewpoints and present them as the quintessence of the «creative development» of Marxism. And now, everyone who does not agree with such an attitude towards J. V. Stalin and his work is declared by N. Khrushchev and his group as a «dogmatist», «an enemy of Marxism-Leninism», a «terrorist», an «agent of imperialism», etc. For our Party there is no doubt that N. Khrushchev and his group made their criticism against J. V. Stalin with evil purposes and by no means from principled positions, to fight the manifestations of the personality cult. Otherwise, there can be no explanation of the fact that the present-day soviet leadership itself is frantically developing N. Khrushchev’s personality cult, for which everybody may become convinced, be it even by the exalting propaganda which is being conducted about his person. Things have gone to such lengths as also some follies which discredit the prestige of the Soviet Union and which N. Khrushchev allowed to himself as was the case of taking off his shoe at the United Nations’ Organisation, are being raised with servilism to a theory and presented as an «excellent model of Marxist attitude». (However incredible it may seem, it is a fact that A. Adzhubei, in his discussion at the 22nd Congress of the Communist Party of the Soviet Union, published in the soviet press, characterized this gesture as something which «was really wonderful» (!). Is perhaps this, too, being done within the framework of the fight against the personality cult?! After they attempted to dethrone by anti-Marxist methods J.V. Stalin and his work. N. Khrushchev and his supporters have now launched base attacks and slanders against the Party of Labour of Albania and its leadership which they accuse of serious encroachments on the Leninist norms of the party life and socialist legality, of establishing a regime of terror and of many other things. What are the «facts» and «documents» which they address? The «Pravda» article of December 14th, 1961, reads among other things: «As early as in 1948, the 1st Congress of the Party of Labour of Albania raised a resolute criticism of the serious mistakes in the political activity of the Party of Labour of Albania, pointing out that four years after the liberation of the country and the establishment of the people’s power, the party had no rules, no programme, no press organ of its own and that «the military and police methods» were thriving in it. The most hideous manifestation of the «military and police» regime in the party was that it was «under the control of the State security organs», «police information» was thriving in it. Yes. the 1st Congress of our Party seriously condemned these negative manifestations in the party life, which have drawn their origin from the brutal interference of the Tito clique in the internal affairs of our Party and from the dangerous hostile activity of the agent of this clique — Koçi Xoxe. Koçi Xoxe and his like were severely condemned by our Party at its 1st Congress for marked hostile activity at the service of the Tito clique, for serious encroachment on the party democracy, for having placed the Party under the control of the State security organs (Koçi Xoxe was Minister of Interior and at the same time the Party secretary for cadres), for serious violations of socialist legality, for the preparation of the physical liquidation of the general secretary of the Party, comrade Enver Hoxha, of comrade Mehmet Shehu and the other healthy cadres of the Party, who in reality, in one way or another, had been isolated or eliminated from the party leadership. And if the party successfully coped with this serious situation, within a short period of time liquidated the alien manifestations and established the Leninist norms of the party life, a special merit for this belongs precisely to the general secretary of the Party, comrade Enver Hoxha. All these things are documented in the decisions of our Party. Such are the facts. Whereas the authors of the above mentioned article in «Pravda» write otherwise. They say: «We do not mean to enumerate the culprits of this terror against the honest Albanian communists. We shall mention only that right from that time Hoxha was the general secretary of the party» (the underscoring is ours). Why is it that N. Khrushchev’s article writers «do not mean to enumerate the culprits», but they slanderously attack comrade Enver Hoxha? Why are they so zealously seeking to conceal the hostile activities of the traitorous Tito clique and its agents Koçi Xoxe and his kind. Why do they take under protection a traitor to and rabid enemy of the Party and people such as Koçi Xoxe was? In order not to leave room for doubts, we shall mention that as early as in 1956, N. Khrushchev, through M. Suslov and P. Pospelov and through the medium of Liri Belishova, brought pressure to bear for the rehabilitation of Koçi Xoxe but our Party resolutely rejected it. «Pravda» further says that at the Party conferences before the 3rd Congress of the Party of Labour of Albania there was allegedly made a «severe principled criticism to the Albanian leadership for violation of the Leninist norms of the internal Party life», for «pressure» on the Party cadres, etc. Here, in a distorted manner, the question is for the attempts of some revisionist elements of the Tito clique, who, being encouraged by the revisionist theses of the 20th Congress, unsuccessfully sought at the April 1956 Party conference for the Tirana town to split the Party and overthrow its leadership, to create in Albania a situation similar to that which was created in Hungary later which was afterwards declared also by the deputy foreign Minister, former Yugoslav ambassador to the Soviet Union — Vidich. It is quite clear to all the Albanian communists that the organizers of the revisionist attack on our Party and its leadership at the Party conference for the Tirana town were such traitors as Panayot Plaku, Tuk Yakova, Bedri Spahiu, Liri Gega, Pajo Islami, Vehip Demi, Dhora Leka and other degenerated elements, unmasked as agents of the Titoite UDB (The Central Committee of our Party is in possession of documents proving by indisputable facts that these traitors had been linked with the Tito clique and on its orders they were plotting for the overthrow o the people’s power in Albania). Why do Khrushchev’s propagandists speak so much ardently and safely about the activities of these anti-party elements? The connection of the Khrushchev group with the Tito clique and its agents at the Tirana conference becomes evident here. The court trial which took place in Tirana against the Greek and American intelligence agents Teme Sejko, Tahir Demi and their kind, who were given the deserved penalty as traitors to the Homeland, proved by facts that they, too, were organizers of the anti-party activity which raised it head at the Tirana town Party conference. And it is precisely these dirty dregs of our society that N. Khrushchev and his supporters take under their protection. While the correct actions of our Party and our law suits against the spies and agents of imperialism and its tools are presented by N. Khrushchev and his group as terror, as violations of socialist legality, as consequences of the existence of the personality cult, etc., etc. We do not want here to begin rejecting one by one these slanders and fabrications, for they are so mean and vulgar that they do not deserve such a thing. We are only surprised by the fact that such people as F. Konstantinov — a philosopher and former member of the Central Committee of the Communist Party of the Soviet Union relieved of this job at the 22nd Congress — have changed profession and from the philosophical studies have entered in the field of mean fabrications. Does Konstantinov think of somewhat strengthening in this way his position and make a career? One thing is quite clear to our Party, to every Albanian communist and to every citizen of the People’s Republic of Albania — the clumsy fabrications about the «Stalinist terror» in Albania have been calculated by N. Khrushchev and his propagandists not so much for the Albanian communists and our people as for discrediting our Party and its leadership before the public opinion of the other countries. He cannot deceive our people by such consenses. Albania is a small country where you cannot conceal anything; there are no distant regions here such as New Lands and Siberia, therefore you may learn at once of any arrest. And if N. Khrushchev hopes that by taking under protection some despised traitors, enemies to the Party and people and agents of the Tito clique and the imperialist intelligence service, will be able to disorientate and shake our Party and our people, he is gravely mistaken. The taking under protection of the Tito clique and the Albanian traitors shows only more openly N. Khrushchev’s features as a. traitor to Marxism-Leninism, as an enemy of our Party and people, slandering and brutally interfering in our internal affairs; it unmasks him as a man grossly violating the principles of the Declarations of the communist and workers’ parties. Seeking arguments to make more credible their absurd attacks on the Party of Labour of Albania and the People’s Republic of Albania, N. Khrushchev and his group have been unable to find a better road than to address themselves for help to the bourgeois reactionary newspapers whose writings they apparently consider as the highest criterion of truth! We would not like to respond to them by the same method and begin to quote articles from the bourgeois newspapers which, taking advantage of the fact that N. Khrushchev made public our disputes at the 22nd Congress, began swelling them and using them to split the communist movement and the socialist camp (although many reactionary newspapers have just expressed themselves in the support of «Khrushchev’s line»). Our Party does not intend to fall on the positions of the bourgeois reactionary newspapers and to play into their hands for the splitting of the communist and workers parties and the socialist countries, as N. Khrushchev and his supporters are acting indeed. We want however to point out that N. Khrushchev’s group has become a workshop of elaborating information to the advantage of the imperialist reaction against the People’s Republic of Albania. Things have gone to such an extent as to make use of the basest methods of provocation. N. Khrushchev's group prepare and give for publication in the western bourgeois newspapers articles full of slanders against the Party of Labour of Albania and its leaders and then they reproduce them on the pages of their own official press with the tendentious aim of discrediting the Albanian leaders «by facts from trustworthy sources» (!) Let the readers judge by themselves how «Marxist» these actions are. There is no doubt for our Party and people that N. Khrushchev’s latest hostile and anti-Marxist action towards our country — the closing of the Soviet Union’s embassy to Albania and the expulsion of the embassy of the People’s Republic of Albania from the Soviet Union — has not been approved even by N. Khrushchev’s close friends in the communist and workers’ parties of other countries. And this is not because of any special sympathy for the Party of Labour of Albania and its leadership, but because such an act, unprecedented in the relations between the socialist countries constitutes an open violation of the principles of the 1957 and I960 Moscow Declarations; it discredits the Soviet Union before the eyes of the world public opinion and places in a difficult position the communist and workers’ parties, especially those in the capitalist countries; it provides weapons to the imperialist reaction to fight us and seriously damages our common cause of socialism and communism. By his fierce attacks on the Party of Labour of Albania and the People’s Republic of Albania, N. Khrushchev is preparing for still more hideous actions and aims to the detriment of the unity of the socialist camp and the international communist movement, to the detriment of our great cause. But he may rest assured that any such action will be fatal to him. The healthy organism of the world communist movement will heal the revisionist wounds inflicted on it by N. Khrushchev. The revisionist elements among the ranks of the communist and workers’ parties, who have been animated as a result of the anti-Marxist activities of N. Khrushchev and his group, will be isolated and defeated by the resolute struggle of the real communists, true to the great revolutionary doctrine of Marxism-Leninism. This is a clear and inevitable process. The truth of Marxism will triumph.